In many ways, the Texas Rangers are starting from scratch in 2019. One of the silver linings of that is the ability to take chances on players who are low risk but high reward. 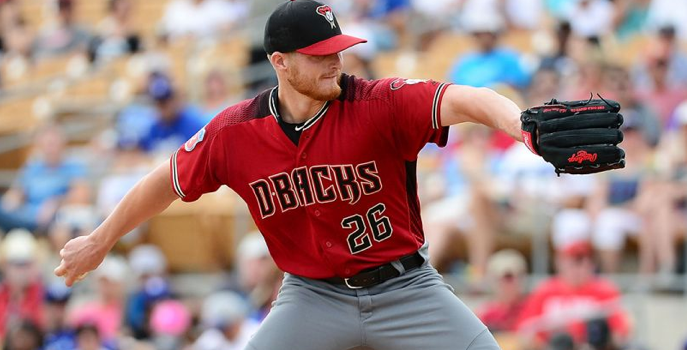 On Wednesday, the Rangers did just that, agreeing to terms with starting pitcher Shelby Miller. Texas has agreed to sign Miller to a one-year contract worth $2 million. However, with performance bonuses, Miller could earn up to $5 million in 2019 as he attempts to resurrect his career. To say that Miller has had an up and down career would be a drastic understatement. He burst onto the scene with a pair of brilliant seasons with the Cardinals in 2013 and 2014. Miller was a combined 25-18 over those two seasons, posting an ERA under 4.00 each year. He was then shipped to the Braves in a trade that sent Jason Heyward to St. Louis. Despite going 6-17 in 2015 with Atlanta, Miller posted a 3.02 ERA and earned an invitation to the All-Star Game. Once again, Miller was part of a marquee trade, going to the Diamondbacks in a trade that sent Dansby Swanson and Ender Inciarte to the Braves. But that’s when things started to fall apart for Miller. In 20 starts in 2016, he was 3-12 with a 6.15 ERA. Miller was even optioned to triple-A midway through that season. The Diamondbacks gave him another chance in 2017, but he went to the DL just four starts into the season and eventually underwent Tommy John surgery. Miller made his return from Tommy John surgery last June. However, he made four subpar starts before he was sent back to the DL with inflammation in his elbow. The only piece of good news for Miller in 2018 was that he returned in late September and pitched one inning of relief before the end of the season. Nevertheless, the Diamondbacks decided not to tender him a contract for 2019, making him a free agent. With Miller on the open market for the first time, the Rangers have decided to give him a chance. Still just 28, there is still plenty of time for Miller to put his injury woes behind him and return to being the pitcher he was early in his career with the Cardinals. Obviously, he doesn’t come with any kind of guarantee that he’ll pitch well or even be healthy enough to pitch in 2019. But at $2 million, he’s still worth a shot for a rebuilding team like the Rangers. Texas is actually building much of their rotation on a wing and a prayer. In addition to Miller, they are also taking a chance on Edinson Volquez and Drew Smyly. Volzquez also underwent Tommy John in 2017 and didn’t pitch at all last year. Meanwhile, Smyly has gone two full seasons without throwing a pitch in the big leagues because of Tommy John. Other than that injury-riddled trio, Mike Minor and Lance Lynn are the only proven pitchers projected in the Texas rotation this season. Youngsters like Yohander Mendez and Ariel Jurado should get a chance to earn a spot during spring training. However, as long as they’re healthy, there should be room for pitchers like Miller, Smyly, and Volquez. For the Rangers, Miller is the perfect risk-reward signing. Based on the early part of his career, he has a high ceiling when healthy. If he doesn’t work out, they haven’t made a large financial commitment to him. For Miller, signing with Texas is the perfect chance to reboot his career. The Rangers were one of the few teams that can guarantee him a rotation spot if he’s healthy. He may not get many more chances, but he’ll surely get a fair shot with the Rangers in 2019.